This application is for new graduate RN's who have graduated within past 12 months and/or worked as a RN for less than 6 months. It is expected that applicants without a RN license will have taken the NCLEX and RN license be posted on the NCBON Website prior to the 1st day of employment. 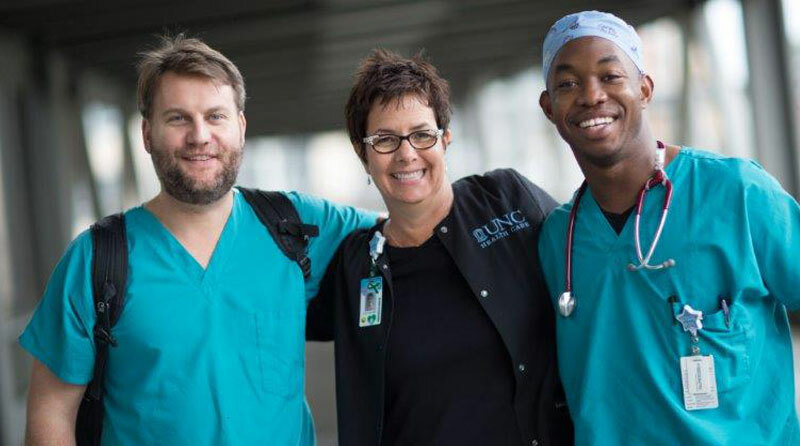 The Registered Nursesupports the mission, vision, values and strategic initiatives of UNC Rockingham Health Care and serves as an ambassador within the organization and the community.Primary functions include practicing according to professional nursing standards. This practice reflects the American Nurses Association’s Code of Ethics for Nurses and the Nurse Practice Act of North Carolina. The Registered Nurse is responsible for assessing, planning, implementing, and evaluating the care of the patients requiring interventions for chronic and acute disease processes. The Registered Nurse must possess a broad scope of knowledge and skills in order to competently care for these individuals. The Registered Nurse must be able to prioritize and adapt to patients experiencing multi system diseases/processes. Birthing Center – Provides care to women and newborns during the ante partum, intrapartum, postpartum, and neonatal stages of the childbirth process. Must be enrolled in an accredited school of nursing with expected graduation in May of 2018. Must be eligible to take NCLEX following graduation and obtain licensure as a Registered Nurse in North Carolina. CPR or BLS is required. ACLS and PALS preferred and will be required within the first 6 months of employment.